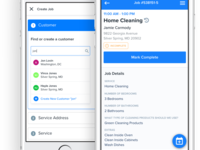 Zenbooker is designed for home service businesses like cleaners, plumbers, and HVAC who want to offer beautiful online booking and scheduling to their customers. 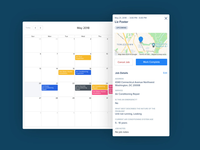 With our embeddable widget, Zenbooker lets your clients see your availability and book an appointment directly from your website in less than a minute. 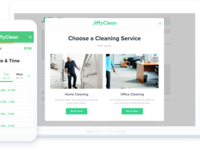 Plus, it's completely customizable so you can tailor your online booking page to your specific business and needs. 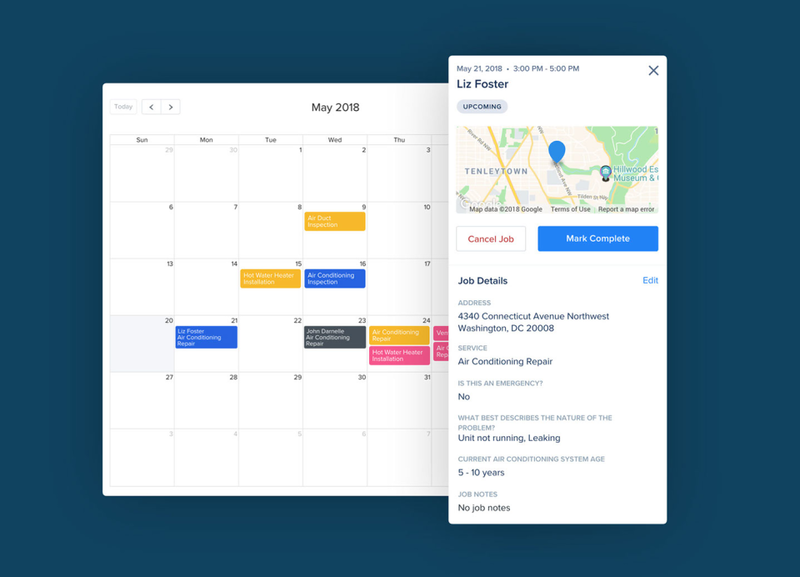 Whether you're in the office or in the field, Zenbooker makes it easy to manage your schedule, assign jobs to team members, and accept online bookings from your website. 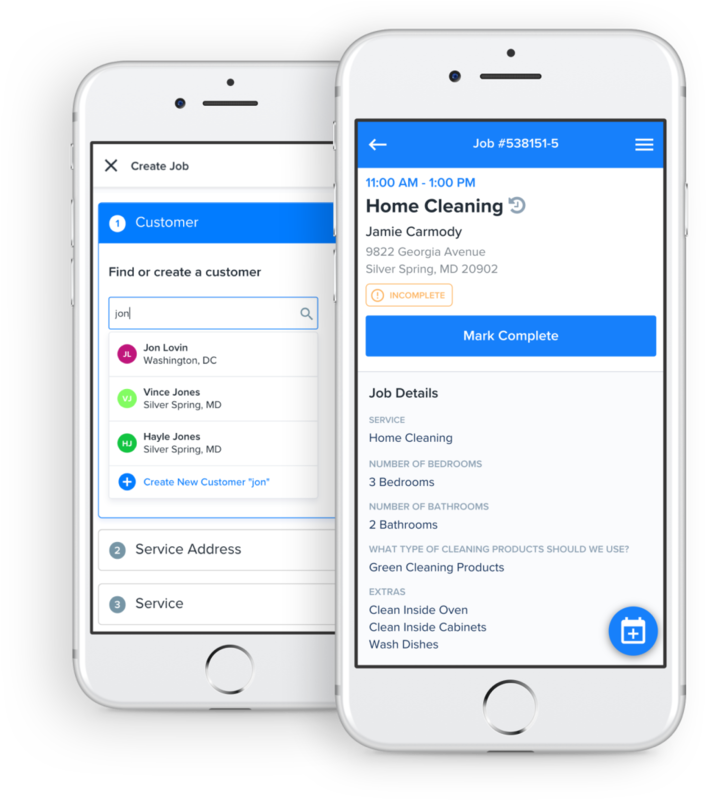 Pros: It had all the features I needed most to get started taking online appointments. Including the ability to take credit card info to charge later, and 'live pricing' that calculates a total based options selected during booking. The app also looks great. Very modern without looking too different than any specific brand. 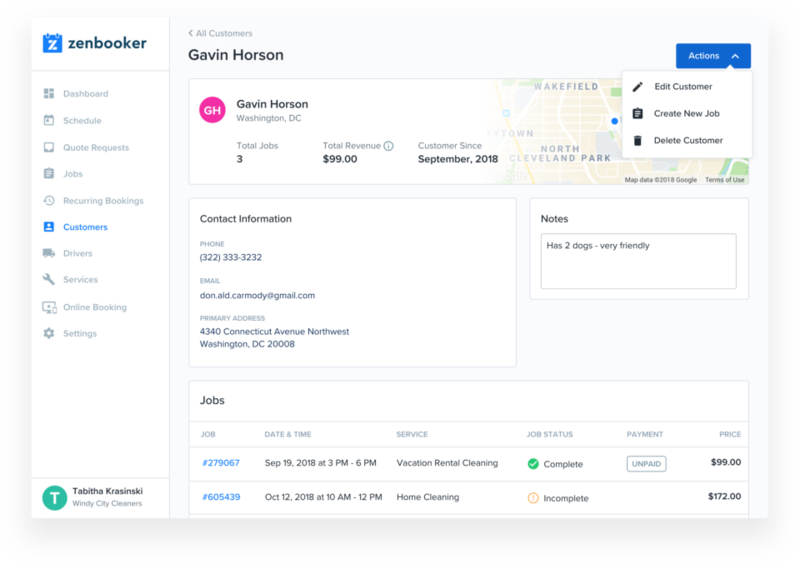 Zenbooker also has great notification features - all the standards you'd expect (such as status updates, on the way notifications, appointment confirmations, and appointment reminders) via both text and email. And the notifications are customizable. 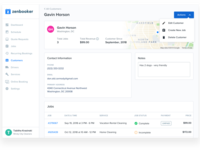 Overall: Zenbooker allows me to easily create online appointments for customers, and give them quotes as they describe their needs. It is robust enough to meet all of my needs right now at a price that's reasonable and not exorbitantly high like other apps offering similar features (which I obviously declined to subscribe to for that reason). Overall, I'm happy with it. Simple, Easy to use, Affordable, and Efficient. Pros: Simplicity, functionality and overall use. Cons: A bit slow sometimes. I would recommend upgrading servers to the IT team. Overall: After trying about 10 platforms like Acquity, Square, Scheduly and a bunch of others I stumbled upon Zenbooker. Immediately it was a breath of fresh air. Zenbooker is easy to instal, easy to use and support is awesome. It does everything I need it to do captures card info/payments, booking info, and send reminders to the clients. 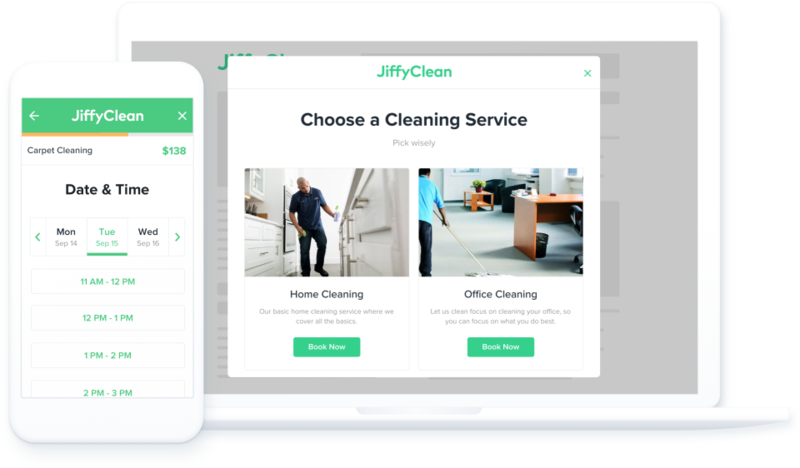 And they are always adding new features I would recommend this platform to anyone in the Home Service Industry. Pros: After trying out more online schedulers than I can recall, I finally found Zenbooker. By then I was used to hearing "no", "no", "no" when asking if the other product had this or that feature. Too many required a download to discover their shortcomings. Finally, with Zenbooker I can create questionnaires with checkboxes, radio buttons, and multiple choices. I'm informed before the scheduled appointment. Cons: Zenbooker needs a more elaborate "manual." New users struggle to create their contact form and scheduling questionnaire. It's not a software that's used every day, like a word processor, so each change requires some review, but little is offered. It's a little pricey. Overall: I'm developing a local business wbsite for the purpose of educating the public and generating leads. Zenbooker offers the flexability I need to create personalized online appointment qustionaires.